Part one of this circuitous path, which NLM in Focus published last week, included college classes he never thought he’d need, counter-cultural days, studying the anatomy of the cricket, borrowing a secretary’s computer because it was the only one available, and teaching a computer course to biologists. 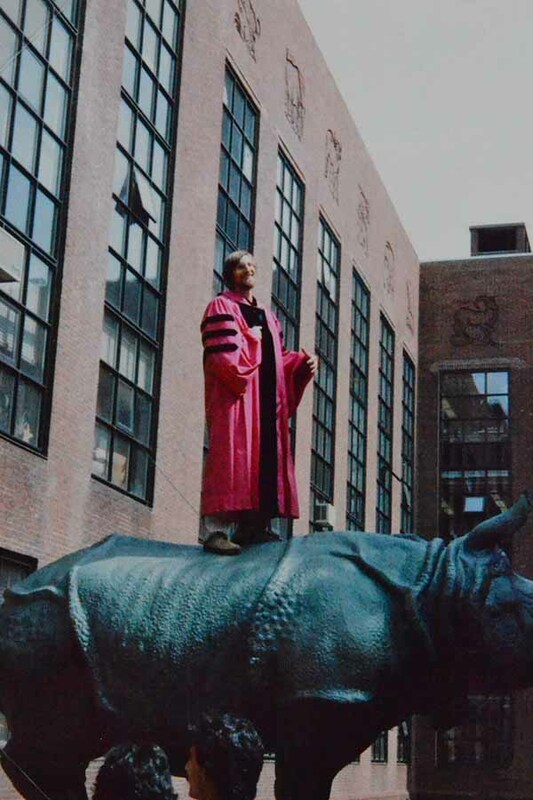 We pick up Ostell’s journey in Cambridge where he is waiting to hear from the thesis committee at Harvard about the status of his dissertation. Ostell’s thesis committee was having difficulty evaluating his work. The three-person panel was engaged in a philosophical argument that centered around this issue: Could his work be considered biology or was it actually computer science? Two of his professors felt computational biology was the future of molecular biology. The third reviewer strongly disagreed. His degree hung in the balance. When the committee member who didn’t see a future in computational biology left the committee, Ostell thought he could finally finish his thesis. “I went for my committee review, which is normally pro forma at that point,” said Ostell, “but they discussed my thesis and said, ‘Well, we want you to do more.’” They asked for additional source codes and explanations. He dragged himself back to the lab, where he was met with champagne. It didn’t feel like much of an honor at the time, but Ostell went back to work and created another volume. His thesis accepted, Ostell earned a PhD in cellular and developmental biology in 1987. 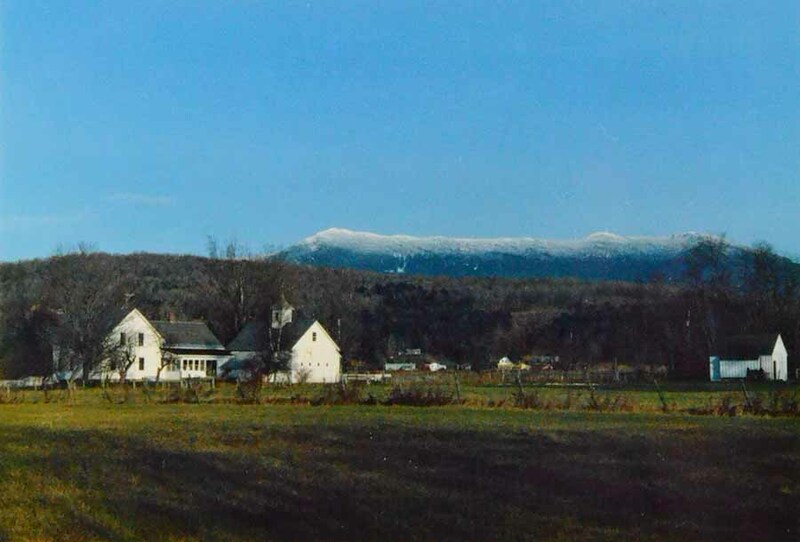 At that time, Ostell was living in a farm house in Vermont on seven acres of land on a river with a view of the mountains. And he was teleworking before the term was well-known, developing commercial molecular biology software. 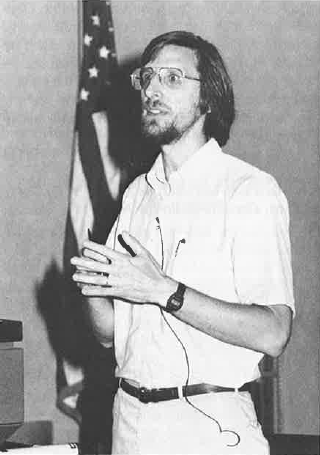 Dr. Ostell in 1990, serving then as chief of NCBI’s information engineering branch. “It was pretty idyllic,” he said. Ostell recalls being asked at parties “What do you do?” His neighbors were raising organic mushrooms and making lutes out of natural woods. And then there was Ostell. At the point where he was thinking maybe he could write software for local stores or banks to become more integrated in the community, he got a call requesting his help on a grant review committee at NIH. He traveled to DC to serve on the committee. Sitting next to him was David Lipman of the National Institute of Diabetes and Digestive and Kidney Diseases. Lipman had been active on a separate committee helping to establish NCBI. Lipman asked Ostell to take a walk, and as they strolled around the NIH campus, Lipman told Ostell about the plans for NCBI and how cool it was going to be. But the deal was that they would return to Vermont in five years. “She still reminds me,” said Ostell. Ostell and his wife sold their place in Vermont, packed up their ’64 Ford Falcon and bought a house in Rockville, Maryland, so he could take the job at NCBI. It wasn’t until after he arrived that Ostell found out that the legislation to create NCBI had not yet been passed. “Knowing what I know now, that was crazy,” Ostell said. They’ve been called the Mt. 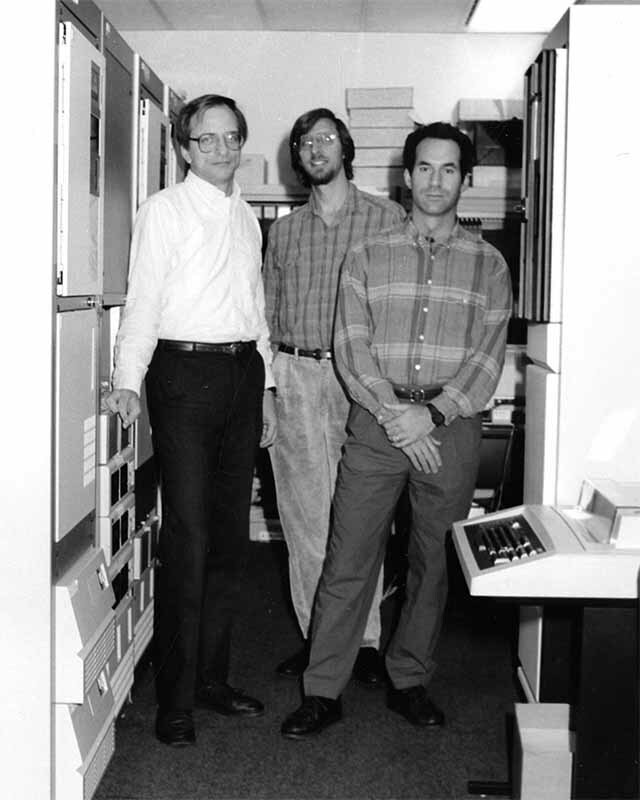 Rushmore of NCBI: Dennis Benson, Jim Ostell, and David Lipman (circa 1989). And that dozen had a lot to do. What was happening was revolutionary. “The notion that there would be a federal center in bioinformatics not looking for profits and not after grants was a completely different idea,” said Ostell. Ostell and Lipman, together with Dennis Benson, who was part of NLM’s Lister Hill Center and would become chief of NCBI’s Information Resources Branch, explored the possibilities about what this new center could be. “Things that could be done with grants on three-year cycles should be done with grants. Things that should be public should be done with public enterprises, things like the sequence databases and stuff,” Ostell said. The pair approached James B. Wyngaarden, who was NIH Director at the time, and explained they could do it two ways. “One way was to take on responsibility for the different databases for the projects that were funded, transfer them to the Library, and try to manage them in a coordinated way. Or we could keep them the way they were, and we would act like consumers and take data they produce and try to build tools and resources on top of this, but we won’t control the databases themselves,” said Ostell. To help, Wyngaarden called in the legendary James Watson, co-discoverer of the structure of DNA. “In the end, we weren’t intimately connected with the Human Genome Project,” said Ostell. There were many decisions to be made about NCBI. “Our first big project was to take all these disparate resources and integrate them together,” said Ostell. But nobody seemed to be building on the base NCBI had created. Ostell’s reaction? Dr. Jim Ostell stands tall. Among other things, this was the beginning of PubMed—but again they had an unexpected response. “We expected people to really like it,” said Ostell. They did. The response they didn’t expect came from companies. Although things looked bleak for a while, the support from several companies and from the scientific community saved NCBI and supported the notion that core biomedical data and tools should be widely and freely available to foster continued scientific advances. “It’s been quite the sleigh ride from the secretary’s word processor and my light microscope and pencil,” said Ostell. November 14, 2017 in People.